The following General Terms and Conditions of Sale regulate the offer and sale of products and / or services on e-commerce Website http://www.efeel.co (“Website”). Please read these General Terms and Conditions carefully before ordering any products. 1.1 The online store efeel is reserved for retail sales. Efeel offers products for sale exclusively to customers “end users”, i.e. "Consumers". It is considered a “Consumer” any individual who buys goods for purpose not related to any commercial, craftsman or professional activity carried out in his business. If the user is not a "Consumer" is invited to avoid submitting orders on the online store; Efeel reserves the right not to process orders placed from users who are not "Consumer" and any orders which does not comply with efeel’s business policy. 1.2 All information contained in the Website does not constitute a binding offer for selling products in any Country or location. Products offered for sale on the WebSite can only be purchased and dispatched to Customers who reside and indicate as destination worldwide. 1.3 The purchase of the Products on the WebSite is allowed to people who guarantee to be at least eighteen (18) years old and are able to form legally binding contracts. 2.2 The Customer is required to read with attention these Terms and Conditions. The Customer is encouraged to download, save or print a copy of it, as well as information about the Right of Withdrawal and any other information that efeel provides on the Website, either before or during the purchase process. 2.6 Once the Customer has submitted his order, efeel will send an “Order entry confirmation ” email acknowledging the receipt of it. This e-mail message does not constitute acceptance of the order, but only the confirmation of correct receipt of it by the proper systems of efeel.Customer will also find his personal “Order Number”, which has to be used in any other following communication with efeel. 2.7 The contract between efeel and the Customer will only be concluded when efeel confirms that the Order has been accepted by email "Order and Shipment Confirmation"
2.8 Any email sent to the Customer acknowledging his order status (such as email of "Request of Further information" or email of "Notification of delivery delay"), or oral communication about the order must not be considered an acceptance of it. The completion of the contract takes place with the shipment of the ordered products, unless efeel has not notified to the Customer the non-acceptance of it, or the Customer has requested the cancellation of it. In these sentences, efeel communicates by email to the Customer as soon as possible that the contract is not concluded and that the purchase order has not been accepted, specifying the reasons of refusal. 3.1 The main characteristics of each product are displayed on each “Product information page” on the basis of information provided by manufacturers. Efeel, reserves the right to change any Product information page without notice. 3.2 Efeel will try the best to represent images as closely as possible to the products offered for sale. The colours of the products, however, may differ from the real ones accordingly to the settings of the computer systems used by the user. 3.3 On the Website could be also displayed supporting information to the purchase of a general nature, such as those found, for example, or in the Glossary Buying Guide. This information is provided as simple generic informative material, not corresponding to real characteristics of a single product. For the purposes of the purchase agreement shall prevail the description of the product contained in the order form sent by the client. 3.4 On the “Product information page” for each product there is a special section containing information about “Product Availabiliy”. The Customer may purchase only products with the following statement “In Stock”. In case the Product status is “Out of stock” the Customer can proceed with the reservation of the product and efeel on behalf of the client will order it to the supplier. When the product is available, efeel will notify the Customer through email. 3.5 Please note that adding a product to the Shopping Cart does not mean that the product is automatically reserved to the Customer. The product is still available for purchase by other customers until the submission and the Order confirmation notice by efeel, accordingly with these Terms and Conditions of Sale. It could depend on simultaneous purchase orders on the Website. It is possible, due to technical reasons, that an “available product”, could become out of stock after the transmission of the order, and therefore is necessary to wait for a new supply. In this case, the Customer will be informed immediately by e-mail (“Product reserved” or “delivery delay”) and may request to cancel the order at any time prior to shipment of the product by clicking on “cancel” button contained in the e-mail. 4.1 All Prices published on the Website are in € (Euros). They are inclusive of VAT (20%) if the Products are shipped and delivered within the European Union. The Price will not include VAT if the Products are shipped and delivered outside the European Union (when available). 4.2 Efeel reserves the right to change the price of Products at any time. It is understood that the price of the Product that will be charged to the Customer is the one shown on the Website at the time of the Order submission. Eventual increase or decrease subsequent to the transmission of the order, will not be considered. 4.3 The Product Price does not include shipping costs. Delivery costs are charged to the customer, and shall be paid by the Customer jointly with the payment of the Total Order Price. The amount for all orders is 5 eur (including VAT) in the Cart during the online purchase procedure and before the conclusion of it, as well as in the e-mail “Order and Shipment Confirmation”. 4.4 The Total Order Price (with a separate indication of the costs of delivery and any other additional expenses) is always shown in the Cart at the end of the purchasing procedure". This total (which will be indicated to the Customer in “Order entry confirmation ” and in "Order and shipment Confirmation" emails), will be the total amount due by the Customer in relation to the purchase order. Nothing is due from the Customer in more than this amount, apart eventual Customs duties (see paragraph below). 4.5 Shipping to some very specific destinations may require additional fees and costs that are borne by the recipient and paid upon the delivery of products directly to the tax and customs authorities or to the courier. The Customer indemnifies efeel from such taxes, levies and charges. 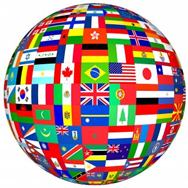 However any possible tax, levy, expense or other duty provided by laws of the each specific Country in which the Products are shipped and delivered are to be entirely borne by the Customers. 5.1 Purchasing Product on the Website is possible with or without registration. The registration allows the Customer to have a range of additional services, by creating a Personal Profile. 5.2 On the online Catalogue, the Customer chooses selects and adds to Cart the products available and orderable, as described in the relevant “Product Information Page”. During order entry,the Customer is required to provide certain personal information (personal data, data destination, landline number and mobile number, e-mail address); and insert valid details of the credit card of which is legally responsible, or other methods of payment (as envisaged by these Terms and Conditions of Sale). 5.3 Efeel reserves the right to request additional information and documentation in order to ascertain the identity and ownership of the Customer to make payment. The Customer warrants that all information provided is true, accurate, and complete (see next paragraph on Payment Method). 5.5 The Customer who placed the order with a Log In (means that he is a registered Customer and has created his own profile). 5.7 Efeel communicates the acceptance of order by sending the “Order and Shipment Confirmation” email containing a summary of the information already contained in the Order Form : target data, description and quantity of products ordered, payment method, data delivery. As mentioned in paragraph 4.2 (Product Price, shipping costs, taxes and duties) Please note that all transactions, including currency, are translated into euros following the payment by the customer. !! !You will be redirected to the PayPal Payment website when you place an order!!! 6.1.1 In case of payment by PayPal, the amount related to the purchase will be debited by PayPal immediately, at the conclusion of the transaction performed by the Customer online. 6.1.3 In all cases of closing of the contract and subsequent cancellation of the order, the amount of the purchase will be refunded simultaneously by efeel directly on PayPal account of the customer. The cash back payment tool linked to that PayPal account depends exclusively on the banking system. 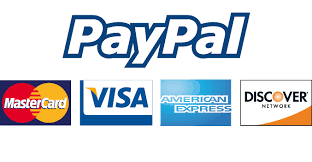 Once the re-crediting of the amount of the purchase on the PayPal account has been carried out, under no circumstances efeel may be held responsible for any damages, direct or indirect, caused by delays in crediting due to PayPal or your bank. 6.1.4 Efeel reserves the right to ask the customer, by e-mail, to send a copy of the front / back of a valid identity card. The e-mail request will specify the period within which the document must be received by efeel. In any case this term will not, be, more than 5 working days. Pending for the requested document, the order will be suspended. In case of a request, the Customer is held to send all the documents requested within the specified time. If efeel does not receive these documents within the requested time as in the e-mail request or receive invalid or expired documents . The contract will be pursuant to and for the purposes of Art. 1456 cc, and the order will be subsequently cancelled, except the right to compensation for any damage efeel might face as a result of the client’s conduct. The termination of the contract, the Customer will be notified by e-mail, no later than 2 days after the deadline for submitting documents required by efeel and will result in the cancellation of the order and will be refunded the amount paid. If efeel receives the required documentation within the specified time, the terms of delivery, ie the taking in charge of the Product by the courier, will be communicated to the Customer after the confirmation of the transaction by the Central preventing fraud risk. 6.1.5 Efeel can not know and does not store the data in any way connected to the credit card or PayPal account of the Customer or with any other means of payment associated with that account). 6.2.1 Customers can pay through bank transfer. Ordered goods will be sent after we received the payment. 7.3 If multiple products are ordered at once with different availability status, efeel will carry out only one shipment. The shipment will take place respecting the longest times (eg in case of 1 product ordered with the status "Out of stock", together with a product with status “In Stock”, both products will be shipped with the shipping time longer, ie 30 days). 8.1. Deliveries of products are made to the postal address of the destination specified by the Customer in the Order Module. 8.2 The Customer is required to report any special features related to the delivery location of the Product. In case wrong information and details are provided, the loading of any additional expense that efeel will withstand to complete the delivery of the Product will be in charge of the Customer. 8.3 The delivery of the order refers to the street level. We do not deliver to PO boxes, post offices, and do not deliver to a third company involved in transport / freight forwarders. 8.6 In case the Customer asks to re-send the product purchased, efeel will proceed to a new delivery reserving the right to carry the charge, in addition to the costs, the cost of returning the Product to efeel. 8.12 In the event that the product purchased is not delivered or is delayed respect to the terms of delivery indicated in the Specifications section, the Customer may report it through the email: info@efeel.eu. efeel will examine the complaint and shall promptly notify the result to the customer via e-mail within a maximum of fifteen (15) working days. 9.4 Once received the withdrawal request through the email, efeel Customer Service will promptly provide the customer with instructions on how to return the products, by assigning a unique RMA number (Return Authorization Code). The Customer has to use it for returning the product. 9.6 In the event that the withdrawal has not been carried out according to Art. 64 and seq. Consumer Code and, especially, if the Product is not complete of all its parts and / or accompanied by its accessories and / or elements that form an integral part (ex, the label must still be attached to products with the disposable seal, it is an integral part of the product) and / or is not in original packaging, or even when it is damaged or used by the client (the products have not been worn, washed, used) other than the reasonable limit of due diligence , it does not involve the termination of the contract and, consequently, will not be entitled to a refund of the amount paid by the Customer for the Product. The product will remain at Customer disposal in efeel’s warehouse, waiting for his pick up, at the same time annulling the request of withdrawal. 9.7 In accordance with Article . 67, fourth paragraph, of the Consumer Code, only after receiving the product and only after verifying a positive compliance with the terms and procedures to exercise rights of withdrawal and the integrity (as specified in the above paragraphs), efeel shall, within fourteen (14) days from the date of reception of the Product, and in any case within thirty (30) days from the date on which efeel were informed of the requested of withdrawal, refund the sums paid by the customer. The refund will include delivery charges, but not the amount paid for the purchase of any "additional delivery services"
10.2 In case of mismatch between the recipient of the products indicated in the order form and who made the payment of the amount for the purchase, the refund of amounts, in case of the right of withdrawal, will be carried out by Cool-mania, to those who made the payment. 10.3 As already mentioned in Section 4.2, all transactions made by Customers who reside in an European Union Country are converted into Euros as a result of the payment by the customer. For payments in currencies other than Euro, efeel still returns the amount in Euro, the currency amount is then calculated on on the ratio of change in the day on which the refund is made. The exchange rate risks are therefore charged to the customer. 11.1 The products sold on Website may, depending on their nature, be covered by a conventional guarantee issued by the producer ("Conventional Warranty"). The Customer can rely on this guarantee only towards the manufacturer. The duration, territorial extension, the terms and conditions of use, the types of damage and / or defects covered and any limitations of the warranty depends on the individual producer and are indicated in the certificate of guarantee contained in the product box. The manufacturer of the Products shall be liable for any damages caused by defects in such Products. 12.1 Accordingly to the Consumers Code, all products sold on the Website to "Consumer" are also covered by the Legal Warranty of 24 months covering non-conformities with the quality required and declared on the contracts (under Articles. 128 ff. Leg. No 206/2005). To receive warranty service, the Customer must preserve the order receipt (“Order and Shipment Confirmation” email or courier delivery note or proof of payment). 12.2 The Legal Warranty of 24 months covers defects or non-conformity of the product, not evident at the time of purchase, existing at the time of delivery of goods, if the product is used properly, complying with its intended use and as established by the Manufacturer (the provisions contained in the documentation eventually attached to the product. The defect of conformity must be denounced, subject to revocation of warranty, within two months from the date it was discovered. 12.4 Are therefore excluded from the scope of the Legal Warranty defects determined by accidental facts or responsibility of the Customer or by a use of the product does not conform to its intended use and/or specified in technical documentation may be attached to the product. 12.5 In the event of a defect or non-conformity of the product, efeel provides, without charge to the customer, to restore the conformity of the product: by repairing or replacing the product with another one with equal or greater features. Otherwise with appropriate price reduction or termination of contract refunding the amount paid. 12.6 In order to benefit of the Legal Warranty, the Customer must then provide first of all the evidence of the date of purchase and delivery of goods. It is advisable that the customer, for the purposes of such evidence, save a copy of “Order and Shipment Confirmation” email, which efeel sent or any other documents attesting to the date of execution of the purchase (for example, courier delivery note or proof of payment). Customer service will provide the Customer with specific guidelines for each product in order to activate the warranty (ex., how opening practice, RMA, etc.). Efeel will promptly reply to the Customer communication, pointing out which steps he should follow next. 12.8 In cases where the application of the guarantee provides for returning the product to repair the defect, the product must be returned by the Customer in its original packaging, complete in all its parts (including packaging and any documentation and accessory equipment). To limit damage to the original package, it is recommended to put it into another box. The attachment of labels or tape directly on the original product packaging should be avoided. Efeel will provide to Customer a Return Authorization Number (RMA) sending a specific e-mail ( “Return Authorization”) The RMA’ number must be shown on the outside of the package, following the instructions provided directly in the e-mail. 12.9 The repair will be carried out as soon as possible. The average timing may vary from 15 to 60 working days. In case of unjustified exceeding of the term, the Customer may require the replacement of the good or the resolution of the contract. No damages can be requested to efeel for any delay in repairs or replacements. 13.1 The personal data requested and provided by the Customer during the filling of the Order Module are collected and processed in order to meet the demands of the Customer and will not under any circumstances be licensed to third parties. Efeel guarantees its customers the respect of rules on the processing of personal data, subject to the privacy code set out in Legislative Decree No. 196 dated 30.06.2003 and subsequent modifications. 14.1 Efeel is constantly committed to check the online catalogue to prevent errors or inaccuracies. However, it is possible that the Website contains errors, inaccuracies or omissions. Efeel therefore reserves the right to correct any errors, inaccuracies or omissions contained on the Website, even after it was eventually received an Order. Also reserves the right to change or update information at any time without prior notice to Customer.